You are here: Home » CLOSED | GIVEAWAY – Welcoming Summer! Want some great ideas to help your kids stay active and learn more about our wonderful world this Summer? Look no further! 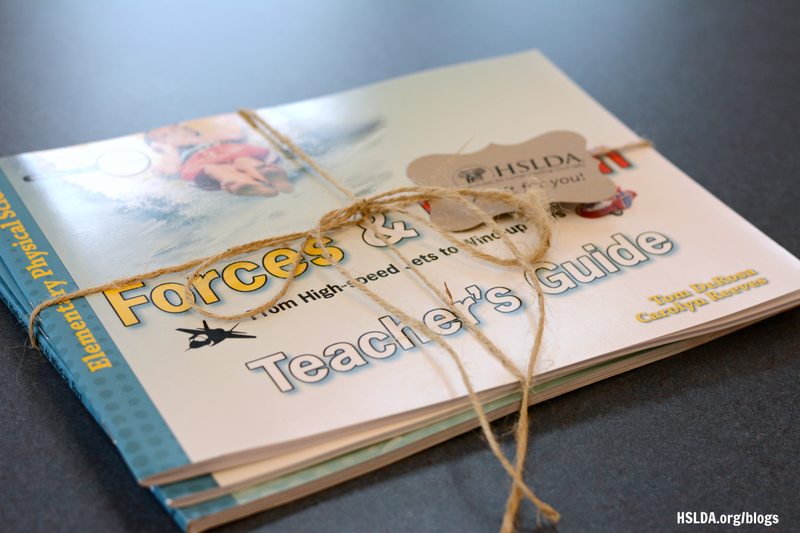 The HSLDA Blog is giving away an entire set of Forces and Motion that is jam-packed with fun activities to keep your kids learning this Summer! Forces and Motion, by Tom DeRosa and Carolyn Reeves, is an amazing full-color book filled with 20 hands-on activities that ignite a sense of curosity about the wonderful world God has made. Concepts are introduced in an engaging way – by highlighting the science behind kids at play, like rollerskating, skateboarding, and even running. By guiding students through these easy to understand investigations, they learn to explain, apply, expand, and assess what they have personally observed! Included in the set is the Forces and Motion textbook, Forces and Motion Student Journal,and Forces and Motion Teacher’s Guide. These three books are also sold in the HSLDA Store, as well as other fantastic resources to encourage your children to learn and have fun at the same time! All you have to do to enter the giveaway is to leave a comment below or email charity@hslda.org with your favorite activities and traditions to stay active in the Summer. There are also other optional steps to win more entries below. Let’s welcome Summer in with a bang!